Massimiliano Allegri: "We must beat Lazio"
AC Milan coach Massimiliano Allegri has asked his struggling side to cut out avoidable errors in search of three points against Lazio today night. Wednesday's clash will give two of Italy's biggest sides a chance to revive their season after making slow starts. After winning three of their first five Serie A fixtures, they have fallen to seventh in the table, with a lack of goals a concern for head coach Vladimir Petkovic. The Rome club have scored 14 goals in nine matches this season – only one side in the top half of the table has scored less – with only midfielder Antonio Candreva having netted more than two league goals, with a total of four strikes. Balotelli, Robinho and Alessandro Matri have scored a combined total of just six goals for a side who are badly missing young star Stephan El Shaarawy (foot) and Giampaolo Pazzini (knee). Borussia Dortmund’s victory over Arsenal spread like fire. The seemingly over confident camp of Arsene Wenger was reminded of the rough roads that lie ahead in the Champions League. Napoli remains a top contender in Group E when it edged past Marseille. The club shares the same number of points with Borussia Dortmund and Arsenal. The only thing that separates and therefore, determine the hierarchy of the 3 is their goal difference. Seeing the Portistas lose is quite unexpected. Well at least not from a club that once dominated the tournament and even brought home the coveted silverware. But a look into their performance depicts their slowdown. Atletico Madrid is determined to clinch their 4th Champions League win and maintain a clean slate in Vicente Calderon. Atletico is one of the group leaders in the tournament, which remain undefeated. Barcelona has been forced to settle for 2 consecutive draws lately. First was against the minnows, Ossassuna and lastly, with Champions League rivals, AC Milan. Kaka’s appearance, plus the impressive play set up for Robinho proved the playmaker’s naysayers, wrong. Arsene Wenger says Arsenal are going 'all out' to beat Chelsea on Tuesday and prove their Premier League title ambitions are serious. The north Londoners are searching to end their eight-year trophy drought and hold a two-point lead over second-placed Chelsea in the Premier League standings ahead of Tuesday night's League Cup contest at the Emirates Stadium. Some have attributed the Gunners' lead to a favourable fixture list, with the opening-day loss to Aston Villa followed by seven wins in an eight-match unbeaten run in the Premier League. "We haven't won the title for a few years and people question that now," Wenger said. " At the end of the day, the Premier League will reflect the quality of the performances of the team throughout the season and how well you do in the big games. "This is a good opportunity for us to show we are ready." Wenger is uncertain if the League Cup clash will have an impact on the Premier League and is unconcerned by the opinion of those who believe his side will be overhauled at the top of the standings. "I'm not sure it will affect the Premier League at all, but you know people will look at you, how you behave and whether you can win the big games like that," Wenger said. "What is for sure is you that you want to win these sort of games. That has a certain psychological influence on the team. "What we want to do is to show that we want to be considered as a very strong team and that comes only with the way we play and with the results, so let's just focus on that. We will absolutely go for this game." The Gunners are 2.75 to win, 3.60 to draw and 2.63 to lose to the Blues at the Emirates. 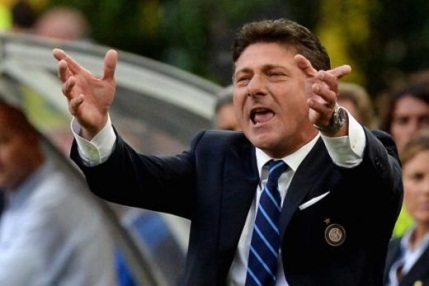 Inter boss Walter Mazzarri is expecting his side to be challenged by Atalanta in Serie A on Tuesday night. “Bergamo has always been a tricky place to go to and not only for Inter,” stated the tactician. “It's a unique stadium, you feel the crowd. “It's a tough place to play and they're a group of players who have been working with the same Coach for a while, they play good football and have some quality players. Inter returned to winning ways with a 4-2 over Verona after going three top-flight matches without a win. “It's another important step in terms of our progress to see where we are with regards to our character, playing away from home always comes into it and we have young players too. 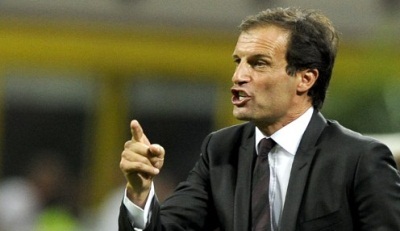 “The Atalanta and Udinese trips are two big games which will tell us a lot about where we might go from here. “I'm very happy with the way the lads have responded to me, it wasn't easy. “Aside from the results, I look at the performances and how the players move, and I draw satisfaction from things like that. Mazzarri admitted that he had yet to pick his starting XI for tomorrow, but did confirm that Walter Samuel would make his first appearance of the campaign. “Samuel will definitely play, I want to give him a chance, he's training well and is an important player. I need to work out where to use him. “Injury kept him out for a long time but he'll be involved tomorrow. Inter have conceded more goals of late without the help of former Napoli stopper Hugo Campagnaro. “When I picked Campagnaro, it's because I thought he was on better form than the others. “I've not seen the other guys make mistakes, Rolando in this case, but it depends if you consider bad luck – like Radja Nainggolan's deflected shot – as mistakes. “I look at the unit as a whole and at individual players, and from this point of view I've not seen any great difference with or without Hugo. With Atletico Madrid and Real madrid in action only later this week, Catalans can pile on the pressure when they travel to Celta Vigo on Tuesday. Barcelona can build on their win over Real Madrid in El Clasico on Saturday by moving nine points clear of Los Blancos when they travel to Celta Vigo on Tuesday. The Catalans’ 2-1 win gave them a healthy six-point cushion over Madrid with Atletico Madrid, who beat Real Betis 5-0 on Sunday, just a point behind in second. However, despite dropping just two points in their first 10 La Liga games, Barca coach Gerardo Martino refused to concede that his side are already well on their way to retaining their title. Celta enjoyed arguably an even better weekend as they picked up just their second win of the season by hammering Malaga 5-0 away from home on Saturday. The Galicians are coached by ex-Barca favourite Luis Enrique, who was linked with the Barcelona job when Martino was hastily appointed following Tito Vilanova’s unfortunate resignation due to ongoing cancer treatment in July. And another former Barca man, Andreu Fontas, believes Celta have nothing to lose against his former club. “The Malaga game was one we all needed, just as much the team as the fans. This victory boosts our confidence and helps us to believe in what we are doing. Real Madrid will have the chance to make up some ground on Wednesday when they host Sevilla at the Santiago Bernabeu. Atletico will not be in action until Thursday, when they take on Granada but will be in a buoyant mood after their drubbing of Betis on Sunday. Teenager Oliver Torres scored one of the fastest La Liga goals and David Villa struck twice for Atletico, who recorded their ninth win in 10 outings this term. Joseba Llorente set the record for the quickest La Liga goal in January 2008 when he scored for Real Valladolid after seven seconds and many of the spectators at the Calderon had yet to take their seats when Torres struck. Playmaker Koke broke clear on the left of the penalty area and his low cross found its way to the 18-year-old midfielder, who calmly stroked the ball into the net with a mere 14 seconds on the clock. “The lad has a fantastic future ahead of him and that’s why it’s important not to rush him,” Villa said. “He put in a great performance today and people will have many, many years to enjoy this lad. Manchester United turn their attention to the League Cup on Tuesday having narrowly avoided slipping up at home in the Premier League to Stoke City. David Moyes’s side entertain Norwich City having come back from behind twice to win 3-2 at Old Trafford on Saturday. That relieved plenty of pressure on Alex Ferguson’s successor, although United are still only eighth in the table, and United manager Moyes made no secret of the fact he wants to go all the way in the League Cup as well as challenge for the more prestigious trophies. “My idea was to come here and win all the trophies,” said Moyes, after Ferguson insisted recently that winning any silverware in his first season in charge would represent a major achievement for his fellow Scot. “From the first day I’ve set out to win everything I possibly can and if I come up short with some of that we’ll find out at the end. “My thought is to win everything I go for, every trophy we win and every game we play. So that’s the plan. “I don’t how many years it was before Sir Alex won his first trophy — maybe four years (Ferguson took charge at Old Trafford in November 1986 but didn’t win his first trophy with the club until the 1990 FA Cup) — and I think someone told me Sir Alex went seven years before he won his first Premier League title (in the 1992/93 season). Javier Hernandez scored the winner against Stoke and the Mexico forward is likely to be given the opportunity to stake his claim for more regular first team against Norwich. The Stoke goal was the 25-year-old’s first league goal of the campaign and his only other goal this season came in the last round of the League Cup when United beat Liverpool 1-0. “I hope he can play from the start,” said Moyes. “We had to change, we got him on to try and find another way of scoring. Norwich will travel north with problems of their own as an inability to take chances has left them in the relegation places. Indeed, so desperate are they for a win that Leroy Fer, the midfielder, resorted to underhand tactics in Saturday’s goalless draw at home to Cardiff. The Dutchman netted after Cardiff had put the ball out so a Norwich player could receive treatment for an injury and was aggrieved when the referee disallowed it, claiming he had not given permission for the throw-in to be taken. Norwich are back in Manchester at the weekend for a league game with Manchester City and Fer insisted he was looking forward to the difficult double header. “It’s going to be a hard week with two big games but we want to go to the next round so we will try to win the game in Manchester on Tuesday,” he said. Paris Saint-Germain will be out to continue their extraordinary run of form and stay top of Ligue 1 when they travel to Saint Etienne on Today. PSG have not tasted defeat in any competition in their last 20 matches, and occupy top spot following their 4-0 demolition of Bastia last weekend. Laurent Blanc's men backed up that success with a 5-0 rout of Anderlecht in the UEFA Champions League, Sweden international Zlatan Ibrahimovic scoring four times against the Belgian champions. Ibrahimovic and strike partner Edinson Cavani have scored 19 goals between them so far this season, and they should be confident of adding to that tally against a side that has won just one of its last five. However, Saint-Etienne took four points off PSG last campaign, winning 2-1 at the Parc des Princes before holding the capital club to a 2-2 draw at the Stade Geoffroy Guichard. The champions will be seeking revenge for their loss in 2012-13, but will have to do it without captain Thiago Silva, who is still recovering from a thigh injury. Defender Christophe Jallet (calf) and attacking midfielder Javier Pastore (thigh) are also on the sidelines. However, Blanc will be able to call on the midfield pairing of Marco Verratti and Thiago Motta, who are set to return from domestic suspension. Saint-Etienne have not beaten PSG at home in the league since 2008, when they claimed 1-0 victory. Manager Christophe Galtier welcomes striker Mevlut Erding back to the squad after recovering from injury, but experienced defender Jonathan Brison is still short of match fitness. The hosts are among the top scorers in Ligue 1, with only PSG and Monaco scoring more so far this term. Striker Brandao returned to action last weekend in Saint-Etienne's 3-2 win over Lorient, the Brazilian striker making his first league appearance since their season-opening win over Ajaccio. Brandao scored 14 goals for Saint-Etienne in all competitions last campaign, and the hosts will likely need him to to rediscover that form if they are to finally end PSG's unbeaten streak. 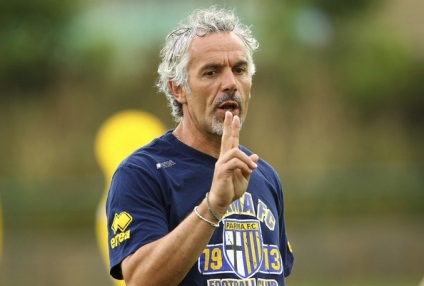 Parma coach Roberto Donadoni is looking for his side to cause an upset and take all three points from AC Milan on Sunday afternoon in Serie A. The Gialloblu play host to the Rossoneri at the Stadio Tardini and are hoping to bounce back after their 3-2 defeat to Verona last weekend. “How do you cause problems for a side like Milan? By giving 110 per cent, raising the bar ever higher with an intense performance,” Donadoni told the press. “We must be determined from start to finish, aggressive, solid and playing with the same mentality we’ve had all season. What we do need to change is limiting those errors and naive moments that cost us dearly. “Saying whether I have more fear of Kaka or Mario Balotelli, Valter Birsa orRobinho, would be reductive. The whole squad is at a top level with highly-motivated players. Milan come off the back of a 1-1 draw with Barcelona on Tuesday, though Donadoni doesn’t think this will affect them much. “When you play against one of the best teams in the world and emerge with heads held high, that gives you even more of a push to show what you can do,” he said. Alan Pardew says the North East needs Sunderland in the Premier League, but I want to beat them today. Alan Pardew has admitted he would be “disappointed” if Sunderland remained bottom of the Premier league table at the halfway point of the season. Newcastle United’s manager has never hidden his belief that his club and the North East would be detrimentally affected if the Wearsiders were relegated. So he wants to see the Black Cats drag themselves up the table – after today, of course. A win for the Magpies at the Stadium of Light would leave Sunderland with one point from nine games. From the next 29 matches, they would approximately need to take at least 40 points from an available 87. That would take some doing. 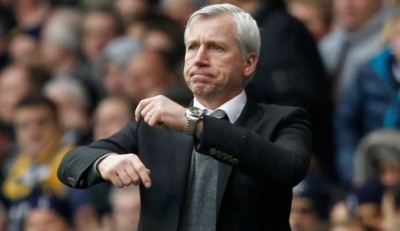 Pardew is desperate to win this afternoon. Please be in no doubt about that. He is hurting about the 3-0 defeat last April. The deep embarrassment has lingered. Nothing would give him more pleasure than really sticking one on Newcastle’s old rivals. But that doesn’t mean he wants to face a season without a derby match. Pardew said ahead of today’s derby: “If Sunderland are in the same position in 10 games’ time, then it would disappoint me. “But it wouldn’t disappoint me on Sunday, because I want to win so badly, not just for the team but for our fans, who we know we owe from the last game. “But in ten games’ time, I would like to think Sunderland’s position will improve. Hopefully it will. “Last time we faced Sunderland, circumstances worked against us, with us playing a Europa League quarter-final against Benfica on the Thursday. “Gus is a good manager and I like the way he does things. He likes to bring a passing game and he will install that. “Whether he can do that for Sunday, I’m not sure. “But that’s what he will be working towards. I think that’s good for Sunderland and the North East. Fans love to see the game played that way. “I want Sunderland to stay up. It’s important for everyone involved, the media, the fans and both clubs. We want to be strong up here. Pardew is a clearly an admirer of Gus Poyet, a man whose Brighton side knocked Newcastle out the FA Cup in successive seasons, lest we forget. He likes the cut of the new man on the patch’s jib, however, he’s pleased that for once Poyet will face a full strength Newcastle. Pardew said: “In the two performances against him as Newcastle manager, I’ve been disappointed with the selection I had for the team. That is for sure. Newcastle go into this game as favourites and rightly so. The season has been a bit up and down, but things have settled and over the past two games, Pardew has been delighted with the performance level of his team. On being favourites, Pardew said: “I think it brings a bit of added pressure because the players will sense that as well and we need to make sure we focus very much on the performance. “I really think the team is in decent shape. I’ve set the team up in a much more attacking mode with three strikers and will continue to do so regardless of who they are. The few thousand United fan who will make the short trip, and the many watching on television, would feel confident about any game with Loic Remy in their ranks. The on-loan man has been outstanding so far. He scores goals, which is handy, but it’s his movement and pace that has marked him out as something special. Pardew revealed that no deal was in place to sign him on a regular basis – “it’s complicated” so would he like him to stay. The Toon boss said: “It’s a difficult question. Obviously we want to keep the best players and he’s started really great. “There is a long way to go before we start talking about permanent issues. I think we both have decisions to make on that. “He’s very unassuming from Monday to Friday. He trains well and now again he’ll come up with a quality finish. Pardew hinted that he will play Hatem Ben Arfa through the middle today, with free reign given to him to run at Sunderland’s back four, who have conceded 20 goals in their eight Premier League matches. Pardew said: “If I was a centre-half, Ben Arfa would scare the life out of me. We looked at him in training a couple of times in that role and he scared the life out of our reserves’ centre-halves. 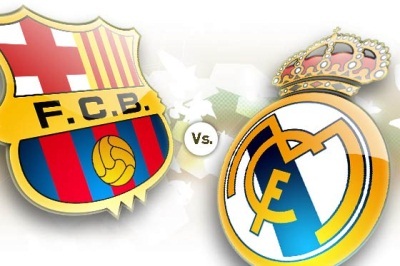 Spanish rivals Barcelona and Real Madrid meet at Camp Nou on Saturday evening in the first El Clasico match-up of the new campaign, in what should be an enthralling clash. Hosts Barcelona will go into the game as favourites due to strong early season form, and will most likely have Ballon d’Or holder Lionel Messi available to start. The diminutive Argentine attacker returned to the Blaugrana side that drew 1-1 in Milan in midweek after recovering from a thigh strain. At the back Gerardo Martino has decisions to make, and is sweating over the fitness of both Gerard Pique and Carles Puyol. Pique picked up a slight knock against AC Milan at the San Siro, while Puyol has recently returned to the fold following a long injury lay-off. Barca have only dropped two points out of a possible 27, winning eight of their nine La Liga games. A 0-0 draw with Osasuna last time out was the only blotch on their copybook, and the Catalan giants have scored the most goals in Spain this term (28) while conceding the fewest (6). Real Madrid sit three points adrift of their title rivals having won seven of their nine opening fixtures, and also recorded a morale-boosting 2-1 win over Juventus in the Champions League in midweek. The Santiago Bernabeu club have world record transfer fee holder Gareth Bale back fit and ready to play, and the Wales international featured from the bench against the Italians. Whether he or Angel Di Maria starts on the right for Los Blancos remains to be seen. Diego Lopez should be preferred to Iker Casillas in the visitors’ goal, while Isco and Luka Modric will do battle for the number ten spot. Xabi Alonso is still a long-term absentee. Carlo Ancelotti’s men have received some criticism over their performances this term, but still have Cristiano Ronaldo in good form. The Portuguese attacker netted both goals in midweek, and will resume his personal battle with Messi. Madrid have had the upper hand of late in the Clasico matches, winning three of the last five meetings of the clubs in all competitions. Barcelona have only won one of the last eight encounters between the sides. The result could well have a bearing on the title race, even this early in the season, as a six-point gap at the top for Barca would be significant. A draw or a Madrid win could see Atletico skip to the top of the pile. Middlesbrough prepare to entertain Doncaster Rovers at Riverside Stadium on Today evening, aiming to preserve their record of never having lost at home to the visitors. The Boro have won an impressive 10 of the 11 meetings between the two sides, drawing the other 1. The most recent encounter between these two sides at Riverside Stadium was just last season, in April 2012, when they played out a goalless draw in a Championship match. Middlesbrough could not have a worse home record, losing every single one of the last six matches played! These low-scoring games have seen just 0 goals scored and conceded. The away form of Doncaster Rovers is pretty dire, losing every single one of the last six matches played! These low-scoring games have seen just 0 goals scored and conceded. Middlesbrough find themselves struggling down in 16th position in the league having picked up 12 points from their 12 matches. Doncaster Rovers find themselves struggling down in 17th position in the league having picked up 12 points from their 11 matches. Stuttgart coach Thomas Schneider expects his side to enjoy the lion's share of the possession against Nürnberg on Today night, but that does not equate to an easy home victory. Nürnberg have yet to win this season, prompting them to change coach with Gerjan Verbeek appointed earlier this week, and Schneider expects them to take a cautious approach at the Mercedes-Benz-Arena. It will therefore be up to his side to play with patience and, above all, incision if they are to move up to fourth on Today night. "We expect to dominate the game and that our opponents are compact, similar to the way it was against Frankfurt," Schneider said. "We've got to ensure that we play the ball around quickly and, when possible, play it forwards, but it's going to be equally important to keep our patience." 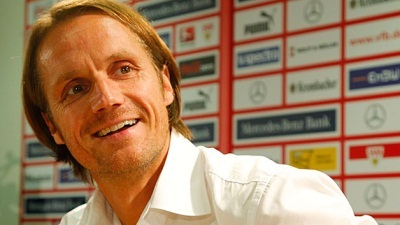 The change in coach is also likely to change Stuttgart's approach to the game, at least in terms of their preparation. "We don't need to do any video analysis," added Schneider. "That means we've focused more on ourselves this week." Goalkeeper Sven Ulreich returns to the side after injury, but Antonio Rudiger is suspended. Meanwhile, Georg Niedermeier, who last played in a Europa League qualifying game in July, should be back in the squad. Verbeek is not likely to make many changes to his side, but not due to the form of the side he has inherited. "We've only lost three out of nine games," he said. "There's no need to overhaul everything." He does have Markus Feulner and Daniel Ginczek back from injuries, though, and both are able to play with only Alexander Esswein and Timo Gebhart missing for his first game in charge. Michael Laudrup will use his own bitter experience at the hands of Russian opposition to ensure there is no complacency when his Swansea side face Kuban Krasnodar in the Europa League. Swansea sit top of Group A after victories over Valencia and St Gallen, while Kuban are bottom of the pile after losing to the same opponents. A third successive win on Thursday would put the Swans on the verge of sealing a place in the last 32, and they are fancied to do so with their visitors having failed to register a win in their last nine games. But Laudrup knows from his own playing career - namely when his European Cup-winning Barcelona team were dumped out of the following season's competition by CSKA Moscow - not to take Russian opposition lightly. The Dane said: 'I remember it well, because in May 1992 I won the Champions League at Wembley with Barcelona against Sampdoria. 'Just after that, the following November, we had to play a play-off before going into the group stage. 'We played CSKA and drew 1-1 away. Then we were 2-0 up after 30 minutes of the home leg and everybody thought it was done, but we lost 3-2. 'It does not hurt so much now as I had won the competition a few months earlier. 'But it was a big surprise, and it could be an example for us because even though it was 2-0 after 30 minutes it showed you have to be 100 per cent focused. With away trips to Russia and Switzerland still to come, and a rejuvenated Valencia yet to visit the Liberty Stadium, Laudrup understands just how important victory on Thursday could be as Swansea look to continue their European campaign beyond Christmas. He said: 'We're at home, we'll be favourites and we're top of the group and want to win for a lot of reasons. 'The first is that getting to nine points will give us one foot, maybe one and a half feet, in the knockout stage. 'After this game we have two difficult away games. We go to Russia with all the travelling and the time difference, and then Switzerland where there will be cold weather. We also have Valencia at home so this is a key game for us. Laudrup is again without captain Ashley Williams as the defender's ankle ligament problem continues to keep him sidelined, while left-back Ben Davies will be out until after November's international break with an ankle sprain. But the Dane is confident in the abilities of Jordi Amat and Neil Taylor, who missed almost all of last season after breaking his ankle, to deputise. 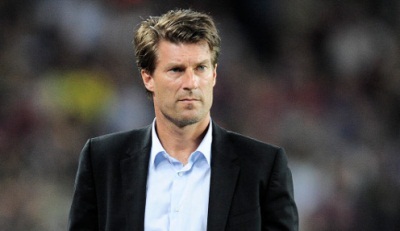 He said: 'Unfortunately people get injured and no one knows that better than Neil,' said Laudrup. 'But it's part of football and I always try to use the squad because suddenly you will need player for four or five consecutive games for reasons like this. 'Jordi is the same. Neil was unlucky after coming back from a long period out, he played a few games and then had another, smaller injury which was a setback. The double header in the middle of the group stage of a European competition is always a pivotal moment. A chance to dominate an opponent and send them into a tailspin while you gather momentum for a final push to qualification, or the rocks on which your journey might come to a premature end according to how well you’ve marshaled your resources and positioned yourself, there’s no doubt the middle pair of games can prove crucial. That’s certainly true of Real Betis’ matches with Vitoria de Guimaraes. The thing is, working out how they’ll turn out is a much less simple trick to pull off. 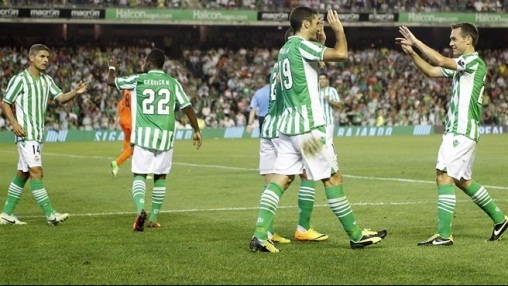 The trouble with Real, of course, is that you just don’t know which Betis is going to turn up. Literally. Pepe Mel is facing up to the classic dilemma of the manager whose team unexpectedly gets into Europe: how do you balance domestic and continental responsibilities? His response has been the logical one of heavily rotating his squad, but the problem is that they’ve lost their identity and are an erratic shadow of the side which charmed us all (Sevillistas apart) last season. This is a big game for the ambitions of Eurobetis. As the group stage hits the halfway stage, Betis find themselves looking at a winnable home game which they’ll feel could set them up nicely for the second half of the campaign. However, there’ll be just one more match at the Benito Villamarin after this game, so they need to start cashing in on home advantage. If they can manage two home wins from those matches then they’ll be guaranteed a decent points haul irrespective of their two remaining away games and will be well-placed to progress. However, after opening their campaign with two draws their prospects remain up in the air. The next two games will go a long way to establishing, with the benefit of hindsight, whether they’ve got off to a solid start or are struggling to accumulate points. Vitoria haven’t won in seven European away games, but stats can be deceptive. Their European campaign is the opposite of Betis’: while the Spanish side’s inability to kick on from last season is frustrating, Vitoria have embraced mid-table mediocrity in Portugal (they qualified as cup winners, remember) and have found that Europe suits them. Top of the group after following up their record continental win – 4-0 over Rijeka – with an impressive draw at Lyons, they’ll see this double header as a chance for them to create breathing space between them and the two big names that are up against them. Historically speaking, something has to give. Betis have played Portuguese sides just twice, losing both times to Benfica, but Vitoria have lost on the last six occasions they’ve played Spanish clubs. The third matchday of the UEFA Champions League group stage continues on Wednesday, with Premier League champions Manchester United set to host last season's surprise package from La Liga, Real Sociedad. United will be favourites with Sociedad yet to muster a point in the group stage, but the Red Devils' own stuttering form this term means it's far from a sure thing that a home win will be the outcome. Despite Sociedad's woes, both domestically and in Europe so far this season, the group is tight enough that a single mistake from David Moyes and his side in this game might be enough to really put United under pressure—and put La Real back in the frame for qualification. Shakhtar Donetsk and Bayer Leverkusen face off on Wednesday also. The Ukrainians lead the group with United on four points, with the German outfit one point behind in third. 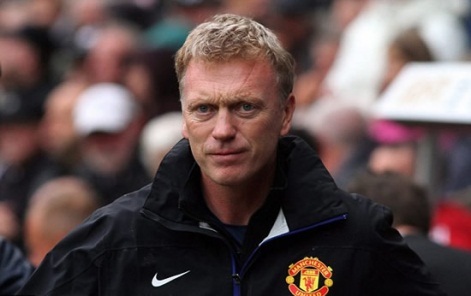 Having already beaten Leverkusen at home, Moyes and United will be confident of doing the same against Sociedad. But they have to beware a team who returned to winning ways at the weekend and who have a number of hugely talented attackers to call upon. Real Sociedad had only won once in their opening eight La Liga matches this season, but they impressively beat Valencia 2-1 at the Mestalla on Saturday. Despite that poor start, they've won just one fewer game in Spain's top-flight than United have managed in England, with United also winning just once in the league at home so far. In Antoine Griezmann and Carlos Vela, Sociedad have two quality attackers who are capable of finding a route through the best defences to goal. Moyes has seen his team concede at a rate of more than one goal per game in the Premier League and in the Champions League so far. He must be wary of allowing those two in particular the time and space to have an impact, even on the counter-attack. Sociedad have struggled with the demands of playing twice weekly; United, on the other hand, are well accustomed to this by now. It should be a United win if Moyes can choose the right supporting players to provide enough supply lines to the presumed front two of Wayne Rooney and Robin van Persie. Three points here will put United in a strong position to qualify from the group stages, which would mark the first major milestone of Moyes' time as manager. While suffering form in the Premier League is perhaps a natural consequence of the managerial change and can be overlooked for a spell, not getting out of a relatively straightforward Champions League group could only be looked at as failure. Moyes and his side could well be in charge of Group A once again by the time the full-time whistle goes at Old Trafford on Wednesday, but the manager knows this is a game for him to get the big decisions right in his team selection. Anything less than a win, with away trips to Spain and Germany to follow in the second half of the group stage, would amount to time for some serious worries within the United camp. English giants Manchester City will be looking to take a stranglehold on second place in their Champions League group by winning their second successive away match in this season's competition at out of form CSKA Moscow on Wednesday. The 2012 Premier League champions and runners-up last season to Manchester United had only won one of their six away matches in their previous two campaigns, but got off to a winning start this term at Viktoria Pilsen. A subsequent defeat to group leaders and Champions League holders Bayern Munich -- who also beat CSKA -- in Manchester reflected how far Manuel Pelligrini's side has to go to be a viable challenger. However, even reaching the knockout stage would represent a marked improvement on their two campaigns under former boss Roberto Mancini, both times failing to reach the second round. They go into the game against a CSKA side who are goalless and winless in their last five league matches, boosted also by their first away win in the Premier League this season with a comprehensive 3-1 win at West Ham. Argentinian striker Sergio Aguero scored either side of half-time while also setting up a late goal for David Silva which put them just three points off leaders Arsenal. "Now we play four games in a row away so it is the best moment, first to win away against West Ham and then to repeat the triumph we had against Pilsen in the Champions League," said Pellegrini. Pelligrini, who hopes captain Belgian central defender Vincent Kompany will be fit to play, is more concerned about the state of the pitch in Moscow, which saw their first home game having to be played in St Petersburg because their pitch was deemed unplayable. "We don't know what the conditions of the (Khimki arena) pitch will be," Pellegrini said. "We hope that UEFA allowed them to play the game there because it's a good pitch." However, the recent report of the UEFA delegate, who has inspected the condition of the pitch, said that it was now good enough to play on. As if CSKA didn't have enough of a task ahead of them they will have to confront City without several key players, Brazilian defender Mario Fernandez, Latvian midfielder Aleksandrs Cauna and Russian international playmaker Alan Dzagoev are all injured. Meanwhile, their Ivory Coast international striker Seydou Doumbia, who came on as a late substitute in Friday's 2-0 defeat against Zenit St-Petersburg, is still not at his best having just recovered from a back injury. First choice goalkeeper Igor Akinfeyev missed the league match because of a swollen knee but CSKA manager Leonid Slutsky said he was hoping he would be able to play on Wednesday. Real Madrid and Juventus, two heavyweights of European football, go head to head at Santiago Bernabéu tomorrow in their next Champions League groups stage fixture. The clubs have a lot of shared history, with Juventus having the upper hand in this fixture in recent times: The Italian club have won five of their last six meetings with Real Madrid. In fact, Real Madrid’s last win over Juventus came in 2005 when Ivan Helguera scored the winner. Juventus won 2-0 on their last visit to this stadium as club legend Alessandro Del Piero scored a memorable brace to stun the home support. This will be the eighth meeting between these two sides at Bernabéu, and the home side have won five of those matches. It is fair to say that Juventus are in more desperate need for a positive result in this game than Real Madrid, having drawn their opening two matches and lagging behind table toppers Madrid who have won both of their’s. Di Maria has been in stunning form, perhaps driven by Gareth Bale’s arrival? Real Madrid have had a busy summer with big name arrivals and departures grabbing all the headlines. The Madrid club have made a good start to their season under new manager Carlo Ancelotti. They are currently third in the league table behind Barcelona and Atletico Madrid, having won seven of their nine matches. Their only defeat this season, in any competition, has been against their neighbors Atletico Madrid in the La Liga. They have made a brilliant start to their European campaign as well with two impressive performances against Galatasaray and Copenhagen in their opening two matches. Madrid have scored 10 goals in these two games – conceding just one in the process. In their last European game, Los Blancos dismantled FC Copenhagen at home as Cristiano Ronaldo and Angel Di Maria scored a brace each. With every other team struggling in this group, Real could virtually book their place in the next round with a victory against Juventus. Real Madrid are coming into this game on the back of a 2-0 victory over Malaga, with Angel Di Maria and Ronaldo getting on the score sheet. This win helped them reduce the gap at the top as both Barcelona and Atletico Madrid dropped points. Carlo Ancelotti doesn’t have too many injury concerns at this moment. Record summer signing Gareth Bale has recovered from his injury and featured as a substitute in their last game, but the former Tottenham winger is not fit enough to start this game and will find his place on the bench. Xabi Alonso is also close to completing his return to the starting line-up, but he is unlikely to feature in this game. 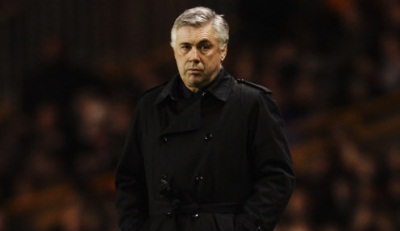 Carlo Ancelotti is expected to make three changes to the side that he fielded against Malaga. Karim Benzema will replace Alvaro Morata upfront, while Raphael Varane will return to the center of defence alongside Sergio Ramos. Iker Casillas is also likely to feature in goal in place of Diego Lopez. Ancelotti used a 4-3-3 formation against Malaga in the league, but against Juventus he would go for a more conservative 4-2-3-1. Juventus looked vulnerable on the break against Fiorentina last weekend and Real Madrid have the right ammunition in their side to exploit exactly that. Juventus have made a shaky start to their campaign this season. While they have won six of their opening eight league games, they haven’t been producing the performances that one has come to expect from them under Antonio Conte. They are already five points behind league leaders AS Roma and will certainly need to improve if they are to harbor any hope of retaining their Serie A title. The Italian side have won only four of their last eight matches in all competitions. The Bianconeri have also made a disappointing start to their European campaign with two draws in their opening two matches against Copenhagen and Galatasaray. In their last European game, Juventus conceded an early goal against Galatasaray, but two late goals in the second half from Vidal and Quagliarella looked to have secured a victory for them. Only Umut Bulut managed to equalize right at the end. It was a disappointing result for them and one that extends the lead at the top to four points for Real Madrid. Juventus are coming into this game on the back of another disappointing result against Fiorentina in the league. Juventus dominated for 60 minutes in that game and had a two goal lead, but Fiorentina then came back strongly and the Juventus defence crumbled under pressure. Fiorentina scored four goals in fourteen minutes as the game turned on its head. Antonio Conte will hope that his side will have recovered from this morale shattering loss to their rivals ahead of this big game. Conte has some injury concerns ahead of this game: Simone Pepe, Mirko Vucinic, Fabio Quagliarella and Stephan Lichsteiner are all out of contention. Arturo Vidal, who missed the match against Fiorentina, has reportedly picked up an injury; concerns regarding his fitness ahead of this match means he could possibly start on the bench. 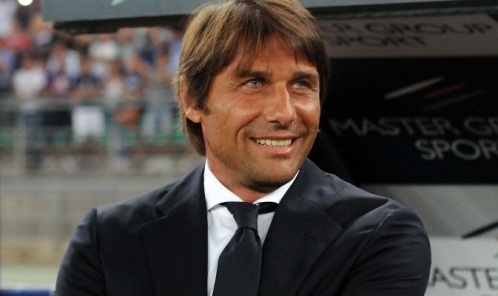 Antonio Conte is expected to make only one change to the starting line-up that was fielded against Fiorentina. Mauricio Isla is expected to replace Simone Padoin on the right. He will use his usual 3-5-2 formation and will hope for a much improved showing from the likes of Pirlo and Bonucci in this game. Chelsea head to Germany to face Schalke on Tuesday hoping to pull themselves level on points with the UEFA Champions League Group E leaders. The Bundesliga side have made a superb start to their continental campaign, picking up a 3-0 home win over Steaua Bucharest on matchday one, and a 1-0 victory at Basel a fortnight later. Jose Mourinho's Chelsea, meanwhile, bounced back from a 2-1 opening-game defeat to the Swiss champions in the best possible way last time out - cruising to a 4-0 win in Romania. That loss against Basel in September is their last defeat in any competition, with the West London club currently second in the Premier League following a 4-1 win over Cardiff City on Saturday. Schalke's domestic campaign has faltered, however, with Jens Keller's men picking up just four victories from their opening nine fixtures, although they head into this clash off the back of a 3-2 win at Eintracht Braunschweig on Saturday in which they were forced to come from behind twice. The sides have met at this stage of the UEFA Champions League on one previous occasion - in 2007 - when Chelsea came away with a point from a goalless draw at the Veltins-Arena, having beaten the German side 2-0 at Stamford Bridge. Both eventually qualified from that group, with Chelsea going on to lose the final on penalties to Manchester United. Schalke will be looking to their top domestic goalscorer Adam Szalai to find his shooting boots in Europe, while Julian Draxler will aim to maintain his record of having scored in both matches in the group stages so far. But the Bundesliga's fifth-placed side have a lengthy injury list to contend with, including striker Klaas-Jan Huntelaar, who is set to miss three to four months with a knee injury that will require surgery. Midfielder Marco Hoger was also forced off in the weekend win with a knee injury and is now a major doubt. For Chelsea, Ashley Cole is a fitness concern after missing England's final two FIFA World Cup qualifiers and his club's win at the weekend with a rib injury, while Andre Schurrle was also absent for the Cardiff match due to a muscle problem in his leg. 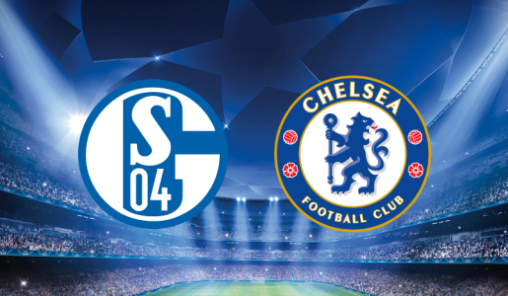 Victory by one goal would be enough to send Chelsea above Schalke in the group. Mario Balotelli is set to miss AC Milan's Champions League Group H clash at home to Barcelona on Tuesday, according to club vice-president Adriano Galliani. 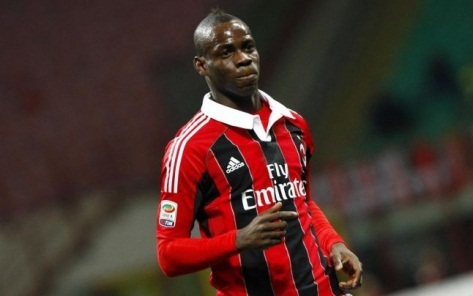 Milan had hoped Balotelli would return from a three-game league ban against Udinese on Saturday. But after playing in Italy's final World Cup qualifier against Armenia last week the 23-year-old striker was diagnosed with a thigh problem. Balotelli was absent for Milan's precious 1-0 win at home to Udinese and although expected to recover in time for Tuesday Galliani suggested the striker could again be sidelined when Barca visit the San Siro. Goalkeeper Christian Abbiati, who picked up a knock hours before Saturday's game, is also likely to be missing. "According to our medical staff, it will be difficult for Balotelli and Abbiati to be ready in time for Tuesday," Galliani was quoted as saying by Sky Sport Italia. It means Milan will be without arguably their strongest player against the Spanish giants. Although Balotelli failed to score in a 2-0 home win over Celtic, the Italian won and scored a late penalty to secure a share of the spoils in a 1-1 draw away to Ajax. Although Brazilian 'keeper Gabriel made his Serie A debut for Milan following Abbiati's late pull-out, he was not included in Milan's list of Champions League players as he was sidelined with injury at the time. It means Marco Amelia is set to step in for Abbiati on Tuesday when Barca, who on Saturday settled for a scoreless draw away to Osasuna, failing to score a league goal for the first time since January 2012, will be looking for their third group win on the trot. Lyon coach Remi Garde is keeping his tactical cards close to his chest as Les Gones prepare for the visit of Bordeaux on Sunday. Both clubs have endured miserable starts to the Ligue 1 season, with Lyon lying 14th - just one place and one point better off than this weekend's opponents. It has been a painful international break for Les Gones, who have had two weeks to digest the 5-1 mauling they received at the hands of Montpellier last time out. Garde is determined to see his players put that result behind him with a good performance against Bordeaux, but he is unwilling to disclose any tricks he may have up his sleeve. "Fifteen days will have gone by since that defeat to Montpellier and I have been pushing for solutions," he told a press conference. "Training is one thing but it must then be translated into the match. OL are not where they should be in the table. "How will we play against Bordeaux? I don't want to go into details. The only thing I will say is that the result for OL is not important before the match, it is important at the end of it." Absentees continue to cause a headache for Garde, who has both Henri Bedimo and Maxime Gonalons suspended on Sunday. Miguel Lopes and Yoann Gourcuff will undergo late fitness tests, but Remy Vercoutre is not ready to return while Rachid Ghezzal has undergone back surgery and will be sidelined for the next three months. Bordeaux have three players suspended in Carlos Henrique, Nicolas Maurice-Belay and Maxime Poundje, with Gregory Sertic (foot) also sidelined. Having beaten Sochaux 4-1 last time out, Girondins forward Henri Saivet is hoping that result will finally kickstart their season. "We must continue to work in earnest," the Senegal international told the club's official website. "We want to continue that momentum. "It's true there were some good things against Sochaux and we should not throw that away. "The road is still long, Paris was not built in a day. We must rediscover that defensive solidity that we lack at the moment and continue to score a lot of goals." Juventus coach Antonio Conte insists his side will not be distracted by their midweek clash against Real Madrid and that they are solely focused on their match against Fiorentina on Sunday. The Bianconeri will be looking to keep up with Roma who defeated Napoli on Friday, and Conte insists that his side are ready for Sunday’s match at the Stadio Artemio Franchi. “For me the match of my life is the one against Fiorentina, we will think about the Champions League and Real Madrid on Sunday,” he stated at his pre-match press conference. Arturo Vidal is expected to start he match from the bench after arriving late from international duty, and Conte was clear about his thoughts on the matter. “The argument over Vidal is simple. I haven’t spoken with him yet. I will ask him why he was late, and when I will have a clear idea I will respect the rules we have put in place. There are rules and they must be respected by everyone. “Fernando Llorente? We can’t forget that Fernando spent the last year as a tourist. It wasn’t an easy year for him and I think last season affected him. Not to mention he is playing in a different type of football. Andre Villas-Boas has backed Christian Benteke to help Aston Villa challenge for a place in Europe this season. Tottenham head to Villa Park on Sunday where they will come up against the striker who was strongly linked with a move to White Hart Lane this summer. Benteke scored 23 goals in a blockbuster first season for the Midlands side, but he handed in a transfer request amid interest from Spurs and a number of top European clubs. Luckily for Villa, Benteke decided to stay and he has since gone on to score five goals in six matches this term. Villas-Boas took little notice of Benteke during a brief encounter when Porto played Genk three years ago, but the Tottenham manager now regards the striker as one of the best in the Barclays Premier League. 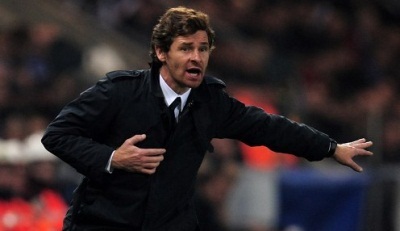 "He is showing all his potential at the moment," Villas-Boas said. "We have seen how he acts as a direct striker for Villa and he is scoring goals. Villa with him in the team are a different proposition. "They see an increase in confidence up front of a great striker, who has great career ahead. The goals he's scored have shown that." Ever the master of detail and preparation, Villas-Boas says he has "information" that Benteke has recovered from his hip problem and will play in Sunday's game. Villa coped well without their star striker against Manchester City, but they looked blunt at Hull, where they drew 0-0. After a rollercoaster of a season last year, Villa have made a decent start this term, winning three of their opening seven matches. Paul Lambert's men currently stand 10th in the table, but Villas-Boas believes Sunday's opponents have the potential to finish inside the top five. "Paul Lambert deserves credit for the amount of youngsters he is bringing through," the Portuguese added. "I see them stepping up and charging for European places in the end." Jan Vertonghen has spent the last two weeks training alongside Benteke with Belgium, but their friendship will be put on hold for 90 minutes on Sunday. The defender was part of the Tottenham team that put four past Villa in the Capital One Cup last month. However, with Benteke back, he expects to be in for a busier afternoon this time around. "He is so important for Villa," said Vertonghen, who somehow avoided a red card for pulling Nicklas Helenius' shorts down in the 4-0 win. "He is an unbelievable player so it will be a different Villa to the one we played in the Capital One Cup." It has been quite a fortnight for Vertonghen and his Belgium team-mates, who secured their place at the World Cup with a win over Croatia. "It was unbelievable, the whole country lived the game with us," the defender told Spurs TV Online. "It was the first time in 12 years that we have qualified for a World Cup or European Championship. "Everyone always talks about us being a good team with lots of talent, but we have dealt with the pressure and made it. "It was a great relief because not making the World Cup with this squad would have been painful." Villas-Boas and the Tottenham players who were not called up for international duty have had a painful fortnight of their own. The Portuguese suffered the heaviest home defeat of his Spurs reign before the international break, losing 3-0 to bitter rivals West Ham. Vertonghen wants to see a response from his team-mates at Villa. "Villa is a very tough team, especially away, but we have shown before we can win there and everyone is very determined to bounce back," he said. Villas-Boas has Aaron Lennon available following his recovery from a foot injury, but the Tottenham manager is likely to stick with Andros Townsend, who signed a new improved contract on Friday after his heroics with England. So, friends, who do you think will start the match, and what do you hope to see from your favorite team? What adjustments do you think Ancelotti will have made following the Levante match? Let us know in the comments section below. The Santiago Bernabéu hosts Isco's former club Málaga this Saturday as La Liga shifts back into gear following a lengthy international break. Real Madrid is back! Two weeks of World Cup qualifying matches interrupted club competitions across the globe, but this Saturday the white knights return to their hallowed arena in the quest for three more precious points. Facing off against the royals is Málaga, a side that was quite formidable last year but has since lost a significant number of key players. Carlo Ancelotti has had two weeks to reflect on what's been going right for his team but more importantly what's been going wrong. Real Madrid barely survived two scares against Levante and Elche, and the fans are beginning to question why this team of galactic athletes is finding it so difficult to put away games against weaker sides. Ancelotti stated Friday that the players understand what went wrong in their last matches and will not repeat the same mistakes against Málaga. Ideally, this means the players will work harder to keep a clean sheet and demonstrate urgency and energy from the first whistle rather than after conceding the first goal. It also means a more balanced and efficient system of play that can shut down opponents defensively while getting the most out of offensive dynamos like Cristiano Ronaldo, Gareth Bale and Karim Benzema. Hopefully, tomorrow's game will mark a step in the right direction after a topsy-turvy start to the league campaign. Goalies: Casillas, Diego López and Jesús. Defenders: Pepe, Sergio Ramos, Carvajal, Marcelo, Arbeloa, Coentrão and Nacho. Midfielders: Khedira, Casemiro, Modric, Di María, Isco, Illarra and Bale. Forwards: Ronaldo, Benzema, Jesé and Morata. Manchester United will look to get their league title defence airborne at home to high-flying Southampton today, as the Premier League resumes following the international break. United’s England players will return to club duty with a spring in their step after the national team secured qualification for next year’s World Cup, but Old Trafford has not been a happy place in recent weeks. With only two wins in their last six games, David Moyes’s side trail early leaders Arsenal by six points and in Southampton they face a team who have climbed to fourth place following a run of three straight victories. The shadow of former manager Alex Ferguson continues to loom over the club but he has urged fans to show patience. Speaking at an event to unveil a road near Old Trafford that has been renamed in his honour earlier this week, Ferguson said: “It’s a great, great football club. You, the supporters, have enjoyed it. Saints captain Adam Lallana has given Argentine manager Mauricio Pochettino the credit for their fine start to the campaign. The top five clubs are in action today, with Arsenal hosting Norwich City, second-placed Liverpool visiting Newcastle United, third-placed Chelsea facing Cardiff City and Manchester City, who go into the weekend in fifth, travelling to West Ham United. Liverpool manager Brendan Rodgers, whose side won 6-0 in the corresponding fixture against Newcastle last season, has revealed that he will have three players available for selection again after injury for the trip to St James’ Park. “We’ll arrive with our strongest squad of the season against Newcastle,” he said. Arsenal manager Arsene Wenger, meanwhile, says that club-record signing Mesut Ozil will undergo a fitness test after hurting his knee on international duty with Germany. 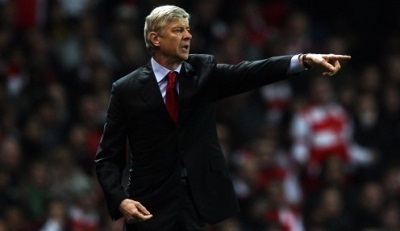 Arsenal manager Arsene Wenger insists he will not take Norwich City lightly at the Emirates. The table-topping Gunners have recovered well from an opening day Premier League home defeat to Aston Villa, but the Frenchman believes it is tougher than ever to grind out results in the top flight. “We have learned something in the last 18 months, that the Premier League has changed, that every single game is a potential danger for any team in the league and the recent results in the Premier League have confirmed that,” he said. “Every team who is favourite today is on its toes because they know every game is a potential danger. The longest-serving manager in English professional football celebrates his 64th birthday next week but Wenger is in no rush to sign a new deal to stay in north London despite entering the final year of his current contract. 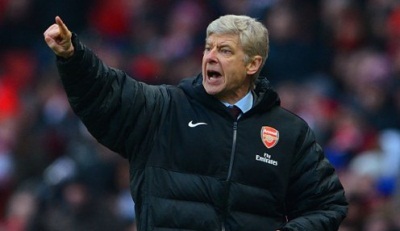 The Gunners’ chief denied reports he had already agreed terms on a contract extension. Reecord-signing Mesut Ozil (knee) has been passed fit but Theo Walcott is yet to resume full training after missing England’s recent World Cup qualifiers following a a minor abdominal procedure. Napoli visit the Stadio Olimpico on Friday night in hopes of putting an end to Roma's perfect start to the season. Table topping Roma will be hoping for eight wins in eight games, while high flying Napoli need a result to stay in touch with the runaway league leaders. Rudi Garcia's side have come out of the blocks and laid down the gauntlet to the rest of Serie A. Thus far, the Giallorossi have despatched all seven league opponents with gusto. As well as avenging last season's bitter Coppa Italia defeat to city rivals Lazio, a clinical first half display saw off Inter Milan 3-0 at the San Siro before the international break. The visitors have been just as impressive. Rafa Benitez has masterminded six wins and one draw out of Napoli's first seven domestic fixtures to keep his new side in the hunt and hot on Roma's heels. Napoli will need their attacking talent on top form if they are to break down Garcia's well organised outfit. The days of Zemanlandia are long gone, judging by the fact that Roma have conceded just a solitary goal to date, possessing the league's meanest defence to boot. Napoli can boast of having the second best defence, having conceded three more than their hosts. The two sides are also at the top of the goals scored column, with the Giallorossi (20) currently leading the Partenopei by two strikes. Both sides were well represented during the international break, with minimal injuries to report. Roma will be without the injured Mattia Destro, while Federico Balzaretti is suspended after being sent off against Inter. Dodó is expected to deputise for the Italian international. Benitez is sweating over the fitness of left back Juan Zuniga and must decide whether to recall Christian Maggio. The defender has been sidelined for the best part of a month after undergoing knee surgery. With a Champions League game against Marseille looming in midweek, Rafa must balance his stars to avoid burnout. The fact that Lorenzo Insigne played the whole of Italy's 2-2 draw against Armenia on Tuesday, could see him rested in favour of Dries Mertens. Morgan De Sanctis will be looking to keep his former teammates out in the Roma goal. Gonzalo Higuain and company will have other ideas. Gervinho is tipped to retain his place in Roma's front three, keeping Adem Ljajic on the bench. Both teams have won this fixture in recent meetings. Roma ran out 2-1 winners when the teams last met at the Olimpico in May. ROY HODGSON last night hailed his England heroes after they booked their ticket to the World Cup. And the 66-year-old Three Lionsboss said leading England to Brazil2014 was the greatest achievementof his career. England bagged the Wembley winthey needed against Poland toseal their spot in next summer’stournament. Wayne Rooney and Steven Gerrard struck at the end of each half ona nail-biting night to send Englandthrough as unbeaten Group H winners. 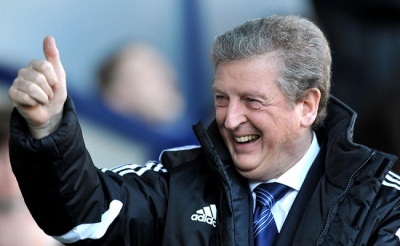 Hodgson said: “I’m delighted forthe players. These matches against Poland and Montenegro on Fridaywere high pressure ones, but their performances have been good. “It’s job done and we can be proud of that achievement. “We’re very happy, and we’re looking forward to getting our reward – playing in Brazil, something the whole nation wantsand backs us over. “I have great trust in my players that they will not let us down. “There will be a lot of pressure on us, but this team is growing in terms of accepting pressure. “And the real beauty is the blend between the senior and young layers looks good. I think this tops the lot. To go to the World Cup in 1994 and Euros in 1996 with Switzerland after so many years, that was a pretty good achievement. “But I’m English. As an Englishman, it means a little bit more to you.” Hodgson endured an emotional rollercoaster on the touchlines during a nervejangling 90 minutes. He was caught on camera cursing with relief after England survived a fi rst-half scare, then at one point after the break seemed to close his eyes as the tension almost became too much to bear. But he ended the night dancing a jig of delight thanks to senior stars Rooney and Gerrard. Hodgson said: “I died a thousand deaths every time they crossed the halfway line.” Rooney eased some of the tension when he kept his head – despite losing his protective headband in the build-up – to nod in Leighton Baines’ cross just before the break. But before that he will have to see who England will face when they get there, with the draw for the finals taking place on December 6. Hodgson added: “You want all these guys (in this squad) to go, and there’ll be another 15 I fancy will join us. “It’ll be a tough job to pick 23. A lot more will merit selection on the basis of what they’ve done or are capable of doing. “I’m not looking forward to that situation." Rooney said: “We’ve always remained positive, we’ve had great focus and belief about ourselves. It’s a good time for England, I think. On his headband-less goal, Rooney added: “It probably helped me in some ways that it was off when the ball came in because I could direct it better. “I think it is the first time I have headed the ball without it on, but hopefully come the weekend I won’t have to wear it.” Skipper Gerrard added: “Since I’ve made my England debut there’s always been criticism from outside. Roy Hodgson has insisted England are still fully focused on victory against Poland and will not be relying on the safety net of the World Cup play-offs. England's 4-1 victory over Montenegro on Friday guaranteed them at least second place in the group, which would mean a play-off berth should they fail to win at Wembley and Ukraine record an expected victory over San Marino. But both Hodgson and his captain Steven Gerrard were adamant that would have no impact on their approach to the game. "As far as I'm concerned I still feel the focus is on this as a game we want to win," Hodgson said. "I'm not thinking of the play-offs. "I don't think we shall be very satisfied if we don't win. We know we've got the play-offs but I don't think that will affect the attitude of the players. We're a good team, we're at home and we'll want to win." Gerrard added: "We want to seize this opportunity. We want to win. "We'll have 90,000, a full house at Wembley. It's a huge game on the back of a huge performance a couple of nights ago, and we're ready to go." Poland's qualification hopes are over after a 1-0 loss to Ukraine on Friday night, but Gerrard expects them to give England a difficult night. "I think Poland's tactics will be very similar to Montenegro," he said. "They will want to defend well and make it difficult so we will have to show patience. "But with the attacking players we've got it's only a matter of time before the breakthrough comes. We've got that confidence." Much has been made of England's failure to beat Poland in a World Cup qualifier back in 1973, a game in which goalkeeper Jan Tomaszewski frustrated Sir Alf Ramsey's side with an unorthodox performance at Wembley. Neither that famous encounter nor the subsequent 14 meetings between the nations hold any meaning for Hodgson, though. "History's important when it comes to not making political mistakes but I don't think it has any relevance in sport whatsoever," Hodgson said. "Every game's a new game and each Poland team that's played England has been a very different team so as far as we're concerned we'll do our job against the Poland we will face." Nor is the former Liverpool boss interested in statistics that suggest 96 per cent of England fans believe the team will beat Poland and qualify. He added: "Unfortunately that doesn't win us the game either. "It would be nice if we could win the game on polls but unfortunately whether it's 96 per cent, 100 per cent or two per cent who believe we're going to win, it'll be when the referee blows his whistle and when we cross the white line to play the game that counts. "That's all that matters to us and it's the only thing that we're remotely focused on." Hodgson kept his team selection to himself ahead of the crucial match. His only real selection headache concerns the right-back position, which needs filling due to Kyle Walker's suspension. "I think I'll keep the ideas about the team to myself for the moment, not least of all because the players haven't been informed," Hodgson added. "I'm not certain they have a clear idea as there's been no functional work done (in training). "I'm not even certain the players are certain who's going to play at right-back in place of the suspended Kyle Walker." BRADFORD CITY’S Birkenhead-born skipper Gary Jones isn’t expecting an easy ride from his hometown club at Valley Parade. Jones, who watched Rovers games from the Prenton Park terraces as a youngster, expects the bottom-of-the-table visitors to come out fighting. Midfielder Jones said: “I think we have seen that Tranmere have had their struggles so far this season, but we are still expecting a really tough match. Coming from the north end of Birkenhead, I used to go and watch Tranmere quite a lot when I was younger. I still have friends and family now who go and watch them. The 36-year-old added: “Make no bones about it – this will be a tough game for us. Tranmere have some good players and they can be a threat if we allow them to be. Bradford manager Phil Parkinson believes the extra day to build up for the game is helpful for players fighting off injury. The game was moved on police advice to avoid a rally in the town by the English Defence League. Parkinson believes that added time will help as the Bantams look to keep up their storming start to the season. Jones and Garry Thompson were both hampered by knocks going into the win at Walsall last weekend. With City already missing Rory McArdle and Carl McHugh on international duty, Parkinson wants to make sure that there are no further pitfalls to the preparation. He said: “Playing on Sunday and having that extra time is good. “We need to get a good week’s training in our legs. Tranmere have taken only five points from the first 10 games – and have lost the last four. 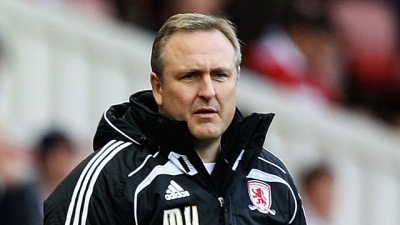 But Parkinson insists City, who are unbeaten at home, cannot take their foot off the pedal. “We know Tranmere will be fighting for their lives. Striker Miroslav Klose currently plays his football with Italian side Lazio. Veteran Germany striker Miroslav Klose hopes to top off his illustrious career by helping his country to World Cup glory in Brazil next summer. Klose is currently tied on 68 goals with Gerd Muller as the all-time leading goalscorer for Germany and the 35-year-old is desperate to help Die Mannschaft end a wait for a major trophy which stretches back to Euro 96. He told German television station NDR: "The desire to win the World Cup is great. A couple of times I have touched the finish line. "There would be nothing more beautiful than to win a title with the German national team, be that the European Championship or World Cup. "Would I then be satisfied? I would say that I will never be satisfied. Let's say that I am rarely satisfied. "When a goal has been reached or not reached, I have a new one set, but when a target has been reached, the next one will have to be higher." Germany need two points from their last two qualifiers to clinch a place in Brazil, with their first opportunity coming on Friday evening when they play host to the Republic of Ireland in Cologne. Germany are 1.16 to win on Friday and 7.00 to triumph by a 3-0 scoreline, while Joachim Low's side can be backed at 6.00 to win the World Cup next year. Neither a suspension nor an injury can prevent PSG from stealing the spotlight against AS Monaco. But prior to stealing the limelight from their rivals, the club still needs to overcome the intensity of an equally title hungry, Bastia. Zlatan Ibrahimovic’s perfect penalty shot clinched a stunning victory for the 10-man Paris Saint Germain to level with current league leader, AS Monaco. An red card for Thiago Motta almost crippled PSG. 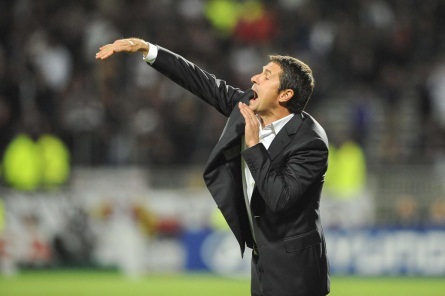 Nevertheless, this did not prevent the club from winning over the host, Marseille. Despite the struggle, the visitors emerged as the victorious side. The result goes beyond achieving a victory. It also meant that PSG is back at the zenith of Ligue 1. Despite a slow start, PSG has managed to secure successive wins to cover for their disappointing draws during the season’s early phase. Pitted against Bastia, the club has no reasons to disappoint their supporters as they look forward to extending their lead against the newly promoted Monaco. Bastia moved to the 10th spot after thrashing Lorient with 4 goals to 1. Giving an early lead to the club was Ryad Boudebouz and was shortly followed by Wahbi Kazri’s converted penalty. Several minutes after half time, Milos Krasic fired the club’s third goal and Romaric ensured a strong finish by the 79th. Bastia’s scoring spree was a result of dominating possession and converting scoring opportunities. To date, Bastia has already won, lost and drew thrice in all of its appearance. Although Motta is sidelined due to a suspension, PSG remains a heavy favorite. But since Bastia still keeps the momentum of their most recent victory, expect them to give PSG a hard time to secure the victory.